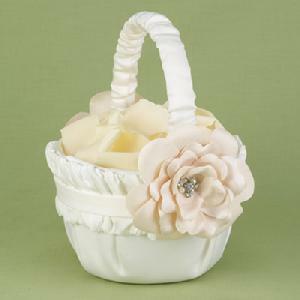 20552 - Ivory, gathered satin basket with satin band and layered flower adornment with faux pearl and rhinestone center. 8" tall. Petals not included.